Shows » Anting: Avian Spa Treatment? 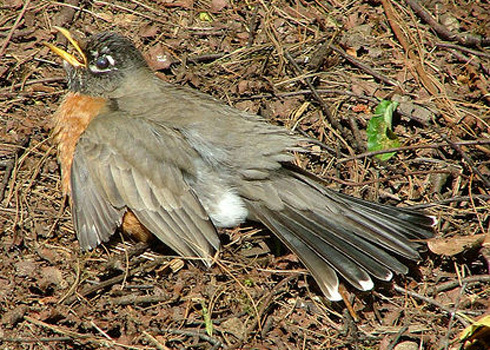 On a warm, sunny day, an American Robin flops on the ground, wings outstretched and tail splayed behind. The robin sits astride an anthill, and the ants are swarming over its body! This is called "anting," and probably has to do with transferring the ants' formic acid to the bird's body. This American Robin (temporarily in a wildlife rehabilitation center, while it grows some new feathers) obviously enjoys it. Be sure to watch the video (below) of a American Robin anting. 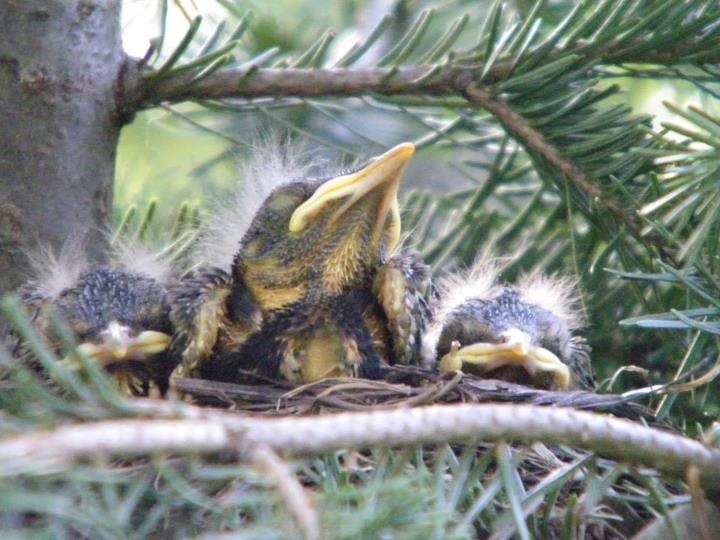 Anting: An Avian Spa Treatment? 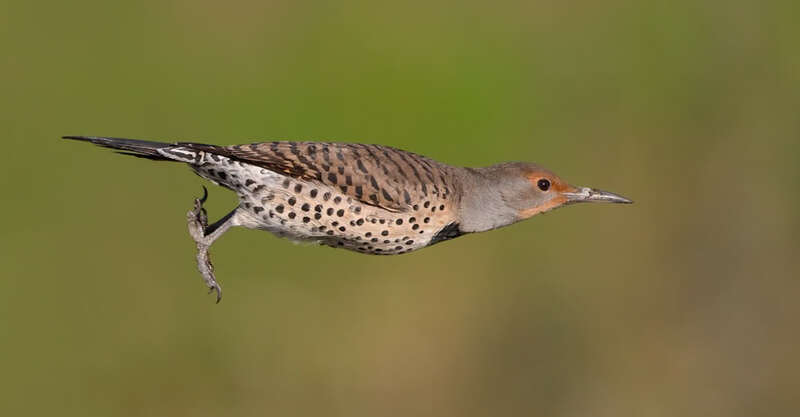 This behavior, first recorded by John James Audubon in the 1830s, is known as “anting.” Although observed infrequently, anting has been recorded among more than 250 species of birds. 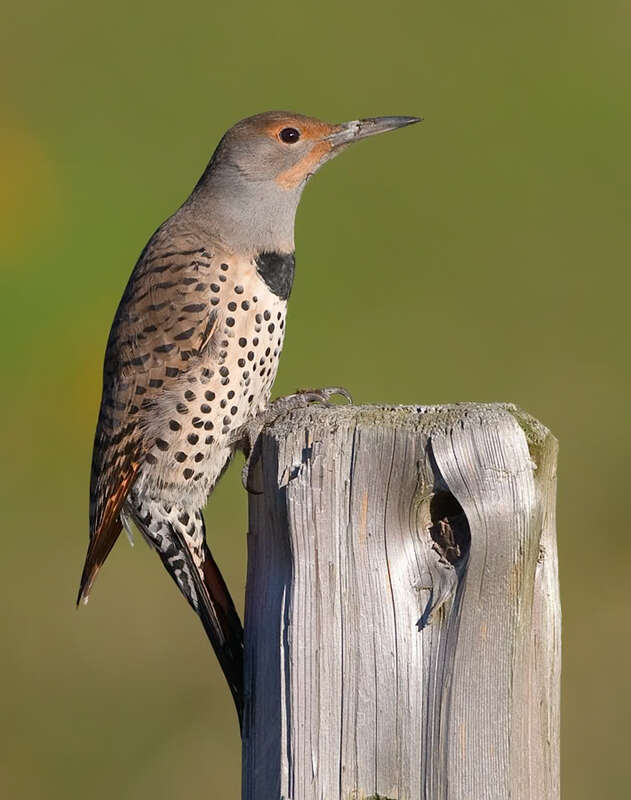 The purpose of anting remains something of a mystery, although most experts agree it has to do with transferring the ants’ secretions — particularly formic acid — to the bird’s body. It’s likely that the ants’ formic acid helps control feather-mites and other parasites. BirdNote’s theme music was composed and played by Nancy Rumbel and John Kessler. Our executive producer is Chris Peterson. For BirdNote, I’m Michael Stein. Bird sounds provided by The Macaulay Library at the Cornell Lab of Ornithology, Ithaca, New York. Recorded by G. A. Keller. Ambient recorded by C. Peterson. 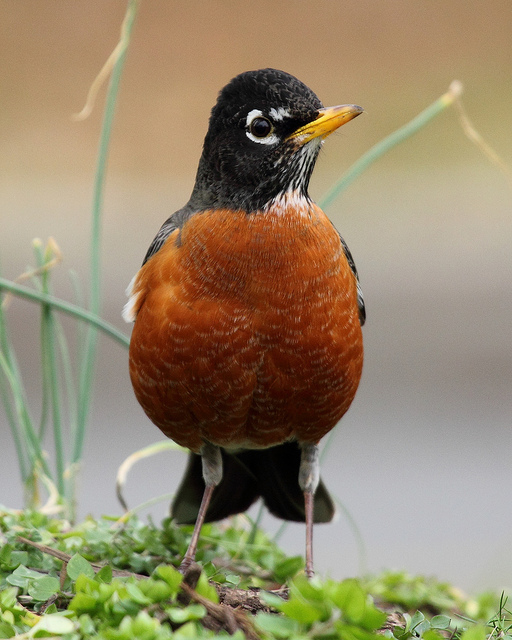 Video: An American Robin uses ants as pest control!